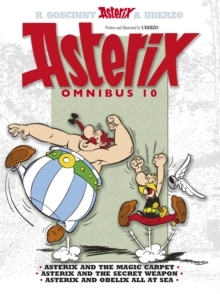 In this special collectors' edition, books 28 to 20 are brought together in one fabulous volume for the first time ever. 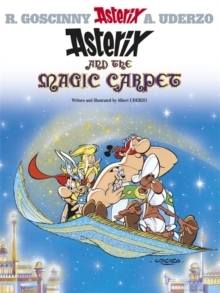 In ASTERIX AND THE MAGIC CARPET,Cacofonix's awful singing vioce comes to the rescue of the lovely Princess Orinjade, who is going to be sacrificed. 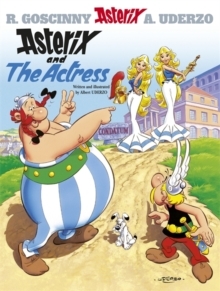 In ASTERIX AND THE SECRET WEAPON, Caesar has unleashed a troop of female legionaries, relying on the chivalrous Gauls not to fight them. 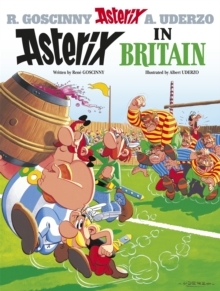 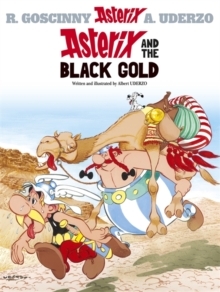 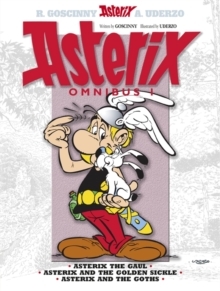 But Asterix and co have a trick up their sleeve. 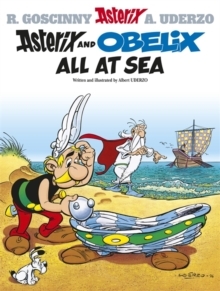 As punishment for drinking Getafix's magic potions, Obelix reverts to childhood in ASTERIX AND OBELIX ALL AT SEA. 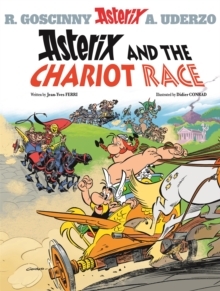 So Asterix and friends set sail for Atlantis in search of a cure... 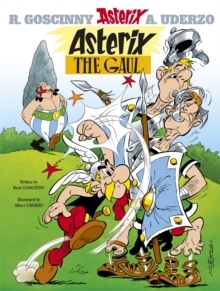 There is no better way to enjoy the antics of our indomitable hero and his friends.